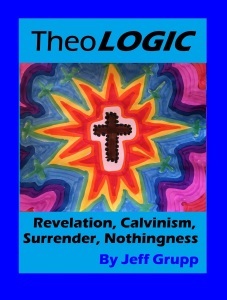 In developing this thesis, I will need to discuss how holiness relates to the atonement of Christ on the Cross, which allowed for the gifts of sanctification (crisic and progressive sanctification), and this will all point to the conclusion that this bursting surrender to the Trinity—which is what Galatians 2:20 level of surrender is—can lead to significant ecclesiastic Kingdom expansion and sanctified congregations. Christian mysticism, being union with Christ via radical surrender to Him, is widely acknowledged to be the ultimate meaning of Galatians 2:20 (Shaup 2006, 86). Being crucified with Christ is not about conversion / initial sanctification. Rather, Paul is talking about a way of life, a way of being, of existing. And what it means can only be what it simply says–there is no secret and tricky interpretation that experts have to disclose for us. It simply says what it says: that Paul was crucified, and thus exists in that sort of a state. Now Paul was not at The Skull on that day, so the crucifixion Paul is referring to cannot have been with His body literally along-side Christ’s body on that day, so the crucifixion must be his Self, rather than Paul’s physical body—what else can “I” refer to, but Paul himself, so the crucifixion is of the self. This is a very significant thing to unfold in dissecting Galatians 2:20. So this is the way of life Paul lived out, being crucified with Christ. Therefore, that is what we are to do as well. So what does it means to be crucified with Christ, in the way Paul discusses? (1) In our life of full surrender, we are to live it most by identifying with Christ via His Cross, His moments on the Cross, and seeing it as the primary way to understand Christ-likeness in us. And we are (2) to be living out the atonement. Our lives are about living as Christ on the cross, all the time. This is, the deepest sort of surrender, always in a state of death. Galatians 2:20 teaches us what it means to surrender, and how to surrender—it’s like the blueprint for surrendering to Christ. First, I will explore how holiness relationally imparts onto humans via God’s holiness, mission, and triunity. Holiness comes from God, and when imparted into a human, God’s holiness in the person gradually deletes and crucifies the self, gradually replacing it more-and-more through time—via letting go of self, deepening in constant communion with Christ via surrender to Him—with a new self (2 Cor. 5:17) of holiness: the person is a new creation, which is Christ living in the person (Gal. 2:20), and which is being the Mind of Christ (Phil. 2:5). Initially, the crucifixion with Christ exists in the person only partially. To more fully deepen into proper surrender to Christ, the person must live on the Cross with Christ. 20 My old self has been crucified with Christ. It is no longer I who live, but Christ lives in me. So I live in this earthly body by trusting in the Son of God, who loved me and gave himself for me. Our task as Christians is to be in constant faith, ceaseless unity, and unbroken fellowship with the Trinity, as the apostle Paul (1 Thess. 5:16-17, Galatians 5:25), King David (Ps. 112:7), Isaiah (Isa. 26:3), the author of Hebrews (Heb. 12:2), John Wesley (2005), and many others clearly have pointed-out. When a human is in this constant communion with the Trinity, one has the capacity for being crucified with Christ. As Noble pointed out in the introduction, we are (paraphrasing) to focus on being crucified, carrying our cross, meditating on nails going through our hands, our life ending right now, in perfect surrender to Jesus Christ. Holiness is imparted and implanted by the Holy Spirit into the human’s deepest inner being by the gift of Pentecost, but it has varying levels of intensity into which the Trinity reveals it in us, and the most intense level is via meditating on our Cross with Christ (being crucified with Him): experiencing the thirst Jesus had on the Cross, the laughter and scorn people had for Him, His very moment of death, and after, the sword going into His side. By being in constant communion with the Trinity—which is to be in the ceaseless relationship of faith with the Trinity—the holiness and Christlikeness of the Trinity is implanted into a human, they undergo automatic heart changes that lead the surrendered ceaseless praying worshipper of Christ into both spontaneous and decision-based repentance, forgiveness, loving of enemies, loving God with all one’s Heart, fiercely trusting Him, and fearing Him. In other words, by being in the relationship of receiving God’s infinite love, He changes one’s innerness (heart), and a person is recreated in His likeness. But the purest moment of Christ’s ministry on earth was the Cross, and most specifically, the moment of death on the Cross, and so, if one were to be in a maximal state of likeness to Christ, they would be in a state of being crucified with Christ, at the most intense points at the end, and at that every point of death on the Cross. This is to be in a state, a life of maximal love, of highest loving and compassion, due to being in a state of sinless/perfected total giving of self to others. God, in making the surrendered, faith-filled believers like Him, prepares us for His mission, by putting His Spirit into us via personal Pentecost. With personal Pentecost, the Cross of the Son allows us to be like Him, so that we can again have Him living inside of us, wherein we can again have fellowship with Father. Our job, as humans, is to cancel our lives, be crucified to Him in constant faith-awareness of Him, and receive His ever-present reaching out in grace and love to us. God’s infinite love spreads into and through existence, out of nothing, it cannot be contained and controlled, and it is responsible for Creation and salvation. By the overflowing of His love, His essence, this love spreads out from Him and results in the creation of worlds, and it results in grace, peace, joy, and the capacity for fellowship among the surrendered believers, His chosen ones (Rom. 8.29), that He reaches into, extracting sin and implanting love, to create His holy community. Full Ecclesial explosion, in Upper-Room-like prayerful intensity, stems most productively out of fully crucified congregants. If the capacity for fellowship requires full surrender, to the point of living ceaselessly as crucified with Christ, then the focus of much of the Body of Christ is in need of intensification—the Body is contaminating itself with world, sin, pride/ego, self, and with being un-crucified (and likely to the point of being fearful of being crucified, where fear, which is sin [Rev. 21:8], replaces Galatians 2:20-level holiness). As stated, the surrendered believer most aptly participates in Ecclesial power by merely meditating on the Cross, trusting Christ infinitely, and being crucified with Him—where without these, the perfected loving-compassion of the One Mind (Phil. 2:2) of the Mind of Christ is replaced in part or in full by dysfunction. Being crucified with Christ will reveal the Light of God, His peace that transcends all understanding, most purely, and thus will lead to the most intensity among the Ecclesia. Anything less than fullest holiness, fullest surrender—being crucified with Christ—will lead to a non-maximal devotion to Christ and His Ecclesia, and thus the Church will contain dysfunction and darkness, instead of light and love. Ipso facto, the maximal life of love is being crucified with Christ. It is the beautiful Cross of Christ that allows holiness to be implanted and imparted into humans. Put most succinctly, Christ’s atonement relates to Wesleyan holiness in that the atonement broke the power of sin within humanity, within us, and this allowed holiness to exist in the hearts of humans: since sin and holiness cannot exist in the same heart, the eradication of sin (to put it in a way more in church tradition, rather than in the Wynkoopian tradition) ushered in holiness. Because nature contained a perfect God-Man—functioning as the opposite of the virus of sin that contaminated all of Creation into sin via Adam—the atonement established that personal Pentecost could occur, and thus there were places in Creation where the curse of sin was displaced out of—namely, within surrendered human hearts. The displacement is only completed when a person is in union with Christ (Christian Perfection)—and I would assert further that this union is most holy and Christlike when it is a union of surrendered self with Christ crucified: in His most genuine existence, which is the moment of death on the Cross, arms spread out, embracing the entire world with His supernatural, sub contrario love. Our lives are to be like Him, like Christ, since in our fullest (self-crucified/Galatians 2:20) surrender we become like God: sinless, perfected, overflowing with love, diametrically opposite of the world. We are to pray, and we ask God to crucify us with Him, ceaselesly. Noble writes: “Christ’s victory for us, Greathouse explains, is not only a victory over Satan, but a victory over the power of sin entrenched within us. This means the crucifixion of the old man (anthropos, humanity), that is, our existence in Adam, the head and representative of fallen humanity” (Noble 2013, 139). To sink into the end-of-life, with Him, on the cross, is to fully absorb into Him, and into all other people in the world, by reaching out, and into them, via supernatural love and sacrifice. To be saved and admitted into Heaven (either before or after bodily death, cf. Col 3:20, Phil. 2:5), we are to be in sinless union with Jesus Christ, the Word. In our union with Christ, we no longer live, but Christ lives in us: Christ is all! I interpret Wesleyan Christian perfection (entire sanctification) as being synonymous with Christian mystical union with Jesus. The crisis of sanctification amid the processes of progressive sanctification and perfectedness (Rom. 6:19), are the course-map for a person’s ever increasing in God in their life of increasing surrender to, crucifixion with, and existing within (John 15:5), God. When a person rejects the self and for the first time invites Jesus Christ to take over their life, they are initially sanctified, wherein they enter into the process of progressive sanctification. That first moment (conversion) is the crisis point, or transition point, from being fleshly and pre-surrendered, to commencing into a life with Christ of ever-increasing surrender to Christ and oneness with Yahweh. The conversion moment, that severing of the old life, that breakage point, the start of the deletion of the old that brings in the new man (2 Cor. 5:17), is the beginning of the end the life of the pre-saved/pre-surrendered person, which is replaced by another life: the life of forever deepening in surrender to Christ, and existing in His will and His Being: a moment splits a life, from being unholy to holy, as a new creation. 10 always carrying in the body the death of Jesus, so that the life of Jesus may also be manifested in our bodies. 11 For we who live are always being given over to death for Jesus’ sake, so that the life of Jesus also may be manifested in our mortal flesh. 12 So death is at work in us, but life in you. There is no question that Wesley is talking about the fiercest of around-the-clock all-surrender to Jesus. It’s not about us, it’s not about feeling good—it’s only about service to the King, and fixing our eyes on Him (Heb 12:2). In this life of one desire, and of having our single mind’s eye focused on Jesus (Matt. 6:22), the person will have the discernment of Christ, and Christ will guide the person to living His Cross, His atonement, ceaselessly. To have one desire, one eye, on Christ, is to be with him most fully, which is being with him at the moment of his last breath in agony on the Cross, it is to be genuinely crucified with Him as a way of life, always, since you are overtaken by hunger and desire for constant communion with the ecstasy of being in Him, with Him, always, and He in you (John 15:5). Most succinctly put, humans do not have the capacity for fellowship until perfected holiness overtakes a person’s life, which above was argued, is only fully realized when a person’s life is equal to ceaselessly being crucified with Christ: ceaselessly living that moment of death on the Cross of Glory. That being the case, entire sanctification and Christian Perfection are of utmost importance. Before that, “sin and death… are… ‘powers’ holding humanity in captivity… internal[ly]” (Noble 2013, 138). And the Galatians 2:20-level of ceaseless worship and surrender that I have discussed above, is the communion needed with God for people to finally stop being self-absorbed, lonely, isolated, frustrated, cruel, arrogant, delusional, and greedy beings who do not have have the capacity to be close to others, and who cannot participate in intimate Christian fellowship with other Christians or sinners. With this Galatians 2:20-level of surrendered ceaseless life on the Cross with Christ, a human can finally be eradicated of wordiness, dysfunction, satanic devotion (1 Jn 3:8), and of course, sinfulness. Anything other than a Galatians-2:20 level of surrender will serve as opposition to the Ecclesia of Earth–which is why the church today is so feeble (to use Oswald Chambers’ word), so in opposition with the Bible and the Ecclesia of the New Testament, and so in accord with the world. Many believers will say they are salvific and/or entirely sanctified, not understanding that the gate is narrow. So, again, being crucified with Christ is a type of holiness and surrender that is a subset of perfectedness of post-entire-sanctification living, a type of profound surrender that is not merely the removal of inborn original sin, but further, is a way of having union with Christ where we are unified with Him at His most important moment, where we are united with Him in the most appropriate way. If one suffers we all suffer, and therefore conversely, if one is crucified with Christ then that profoundest of perfected holiness has a chance to pull others towards it. A life of Galatians 2:20-level of constant surrender will take us out of the physical plane, where the physical will start to feel more like a dream than a reality, and where the presence of God/Jesus will become actual reality. 6. and we are abused by the world as if in the Roman Colosseum as a spectacle of death in the dark entertainment for the onlookers partaking in the world’s sinful fascinations that are separated from God (see 1 Cor. 4:9-13–a highly overlooked passage by the believers of Earth). Oh how different the average so-called Christian of Earth is from this list! 17 Since you call on a Father who judges you impartially, live your lives as strangers here in reverent fear. Since you call on a Father who judges impartially, live your lives as strangers here in reverent fear. The calling on God-Christ-Holy Spirit results in our feeling like a stranger here in physical reality. We should feel like a stranger here, we should feel like this is not our home, where there is another home that is where we are not a stranger, which is in God’s presence. So we should feel like this world is less real than God. We are in two realities: the physical and in Heaven with Christ. Being in the presence of Christ continually, crucified with Him, He should be more real than this physical reality is, thus making physical reality the dream, and Christ the actuality of moment-to-moment existence. When believers co-surrender, in co-self-crucifixion with the King, in constant prayer, like the Upper Room, then Christ will come to us supernaturally and implant the words “peace be with you” into our souls, and deliver us His Pentecost. When humans are fully crucified with Christ, the Ecclesia exists purely, genuinely, sanctified, as the most powerful Beacon of discipleship: maximal holy giving of self to save the dark, damaged, fallen world and the mob of sinners inhabiting it in a state of death. Verse after verse in the writings of Peter and Paul in the New Testament clearly tell us to participate in the sufferings of Christ, die for him, participate in His death, and be crucified with Him, but these verses, and the overarching NT theme of being crucified with Christ are rarely, if ever, discussed by the average contemporary pastor of an American church. There is a dichotomy between the Word and the words of American pastors and seminary professors. The vibe is softer in the latter, and the Bible is far more intense, and next-worldly than American pastors and scholars who focus more on love and joy than on sin, Hell, suffering, the immanent return of Christ, and the joy and ecstasy of poverty in Christ. The point of this paper is to bring back the philosophy, theology, and way of life of ceaselessly suffering with Christ, living not in this dark world but rather in Christ’s kingdom of light. Being on the Cross with Christ, crucified with Christ, means we have no future on the physical plane, we are in agony and pain, with our bodies destroyed, in the final moments of life, since we are on His Cross with Him. We are ever-talking to the Trinity, looking up into the sky (just as Jesus did on the Cross, also see Psalm 5:3, KJV), as Christ was on that Day. We are nothing in this world, and the world should not interest us, as a result of our radical surrender to Christ and consequent deleting of the old self that we were: I no longer live but Christ lives in me. Carole, Susan B., 2013, Called Into Communion: A Paradigm Shift in Holiness Theology, Eugene, OR: Pickwick Publications. Milbank, John, Žižek, Slavoj, and Davis, Cresten, 2010, Paul’s New Movement: Continental Philosophy and the Future of Christian Theology, Grand Rapids: Brazos Press. Noble, T.A., 2013, Holy Trinity, Holy People: The Theology of Christian Perfection, United Kingdom: James Clarke and Co.
Shaup, Scott, 2006, “Galatians 2:20 in Context,” New Testament Studies, 52, pp. 86-101. Short, William J. OFM, 2006 (1999), Poverty and Joy: The Franciscan Tradition, Maryknoll, NY: Orbis Books. Wesley, John, 2005 (1872), John Wesley’s ‘A Plain Account of Christian Perfection, Fenwick, MI: Alethea in Heart. Wesley, John, 1966 (1872), A Plain Account of Christian Perfection (Unabridged), Kansas City: Beacon Hill. This is a quote from John Wesley, from Plain Account. Below is a video available covering the above article (for an audio-only (mp3) copy of this video, click here, and for the SoundCloud mp3 converter, click here).